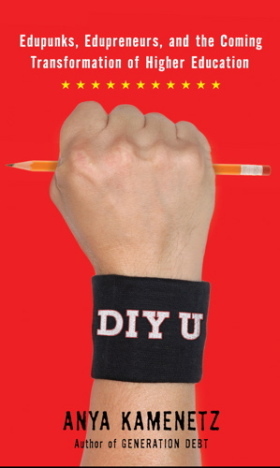 Two summers ago I read Anya Kamenetz's eye-opening book DIY U: Edupunks, Edupreneurs, and the Coming Transformation of Higher Education and intended to write a summary to publish here, but never got beyond the research point. The book is incredibly content-heavy, and I'd already summarized Shop Class as Soulcraft: An Inquiry into the Value of Work. Fortunately, much of the content of this book is now available online, and if you are interested in what our kids are going to face if they want to continue their educations beyond Clearwater (or beyond anywhere, for that matter) you owe it to yourself to visit the DIYU web site. There was also a great article published in the Sept. - Oct. 2011 edition of Utne Reader, but the link to the article wasn't working when I tried to view it. Our kids are especially prepared to navigate this quickly and dramatically changing industry, and if they are going to be savvy education consumers they will need up-to-date information.